Lexia Reading is an online software program that focuses on fundamental literacy skills, starting at first grade skill levels, with a more mature, age-appropriate interface for adult students. The program covers a range of content including basic phonological awareness through advanced decoding skills, vocabulary development, and comprehension activities. Lexia Strategies will help identify the remedial needs of each student and differentiate the instructional intensity needed to accelerate reading skills development. 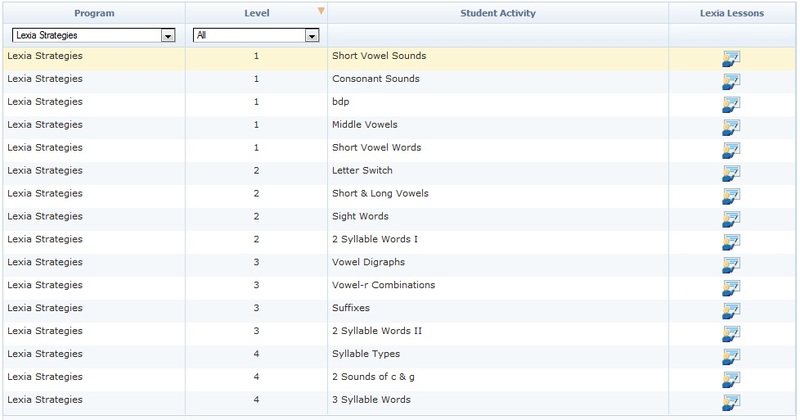 Students of all skill levels can benefit from using the Lexia Reading program. Students choose from a selection of different activities and by successfully completing a set number of activities, they advance to the next level of difficulty. There is a lot of repetition in the Lexia activities, but this has been proven to help students learn and retain new skills. If your student is unfamiliar with how to use a computer, you may want to sit beside them during the first couple of Lexia sessions to help them navigate the program and understand what the different icons mean. If your student expresses frustration at not being able to pass a specific activity or level, you may want to sit with them and help them successfully complete the activity and advance. You can also reach out to your program manager for assistance and reports that will specify your student’s area of weakness. We recommend having students use Lexia for 15-20 minutes during each class session. Lexia provides scripted lessons for explicit instruction on a number of topics. Below is a list of the lessons available. Ask your Program Manager for a copy of these Instructional Materials if you are interested.